We probably don't know all the Pools in Curacao. Are you missing any? Contact us!. 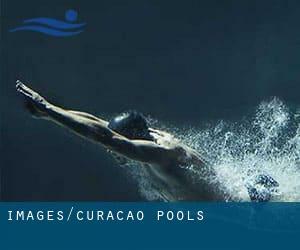 Regular users on the following Curacao Pools told us probably the most critical thing about swimming is to control your breathing. In some cases this is not possible because we raise the neck to breathe and the body is just not aligned. To avoid this, our head should really be aligned with our spine all the time. Swimming is really a sport for all ages. It helps young people to tone their muscles and grow healthy and strong. For the elderly, there's no superior strategy to physical exercise than choosing a Curacao Swimming Pool to escape from day-to-day routine. Please have a look at the pools swimmers like you might have reported near Curacao. Please, report any Curacao Swimming Pool not listed here. Are you a standard swimmer? Have you ever practiced Aquagym in Curacao? Let us know!. There are typically discounts obtainable to senior citizens and modest children for independent swim. Find out by contacting your nearest pool among these Curacao Pools. One on the advantages of outdoor swimming in Curacao may be the possibility to sunbathe during the summer season. Taking it with extra care, sunbathing is healthy since introduces Vitamin D into the body, so the very best choice seems to be switching among indoor and outdoor pools depending on the season. Let us tell you a secret to switch off even though you might be in Barber: just decide on a Swimming Pool in Barber and plunge into the water! There's no far more effective process. Swimming is a exceptional idea to keep your body active for the duration of your visit to Newport (Curacao), or even should you be a local. Swimia helps you to locate your closest Pool in Newport. Whereas Sint Michiel Liber is one of the six most populous cities in Curacao with almost 5.138 residents, you shouldn't miss that one if you're going to Curacao. Without a shadow of a doubt, swimming in Willemstad may be the most effective way to unwind after work. Take a couple of minutes to browse Swimia's catalog to find a Swimming Pool in Willemstad. It's difficult to visit Curacao with no dropping by Dorp Soto (with 1.987 residents). Currently Swimia is showing you all the Swimming Pool in Dorp Soto and the closest pools located in its vicinity. Updated on 2019 Koraal Partier 10 , Santa Catharina , Curacao , NETHERLANDS ANTILLES. Swimmers like you reported 25 meters, Outdoors. Phone number and e-mail address are number for this Swimming Pool.